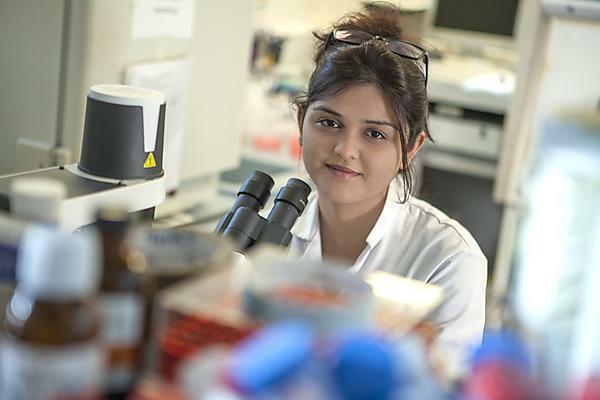 Plymouth University Peninsula Schools of Medicine and Dentistry (PUPSMD) has achieved a prestigious Athena SWAN Silver Award in recognition of its efforts in fostering a culture of equality, fairness and equal opportunity. The Athena SWAN Charter, part of the Equality Challenge Unit, was established in 2005 to encourage and recognise commitment to advancing the careers of women in science, technology, engineering, maths and medicine (STEMM) employment in higher education and research. In order to achieve the Athena SWAN Silver Award PUPSMD had to satisfy or exceed a variety of exacting criteria, and introduce ways of working which are sustainable and create an environment for equal opportunity. Initiatives introduced by PUPSMD are wide ranging, and examples include: improving the gender balance in meetings and interviews for prospective staff and students; creating mechanisms for promotion which are fair to all genders, and; providing crèche facilities for important faculty events. The PUPSMD Athena SWAN Silver Award application process was led by Professor Liz Kay, Foundation Dean of the Peninsula Dental School and PUPSMD’s Associate Dean for Equality and Inclusion. Professor Kay chaired a cross-gender, cross profession Self Assessment Team which worked on the application. In 2015 the Athena SWAN Charter was expanded to recognise work undertaken in arts, humanities, social sciences, business and law (AHSSBL), and in professional and support roles, and for trans staff and students. The charter now recognises work undertaken to address gender equality more broadly, and not just barriers to progression that affect women.